If you are a fan of pop rock and local music, you would have definitely heard about the annual, student-driven IGNITE! Music Festival at Republic Polytechnic Lawn in the month of August. 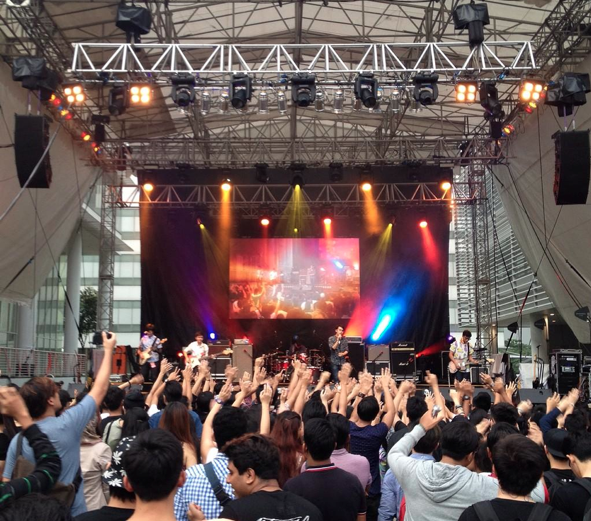 While there are various other music festivals in Singapore that celebrates local talent, such as Baybeats or Music Matters Live, the vibes at Ignite Music Festival are really special. For starters, it could be due to the fact that the festival is held at the heartlands of Singapore – at a local polytechnic campus – instead of the typical popular touristy venues, which makes the concert-goers feel way more at home. This year’s IGNITE! promises a great line-up of some of our best local artists, and has a targeted audience capture of 14,000 in total. Indeed, the first night of IGNITE! on the 15th of August had a massive turnout, with at least a thousand-strong crowd rocking out to every act. Something special that happened on the first night was the undeniable sense of Singaporean identity set off in the crowd. Maybe it was because the emcees were freely speaking in Singlish, or maybe it was the just remains of National Day vibes. But it was undeniable that the local artists’ gratefulness to be appreciated locally played a huge role in making the audience feel proud, too. 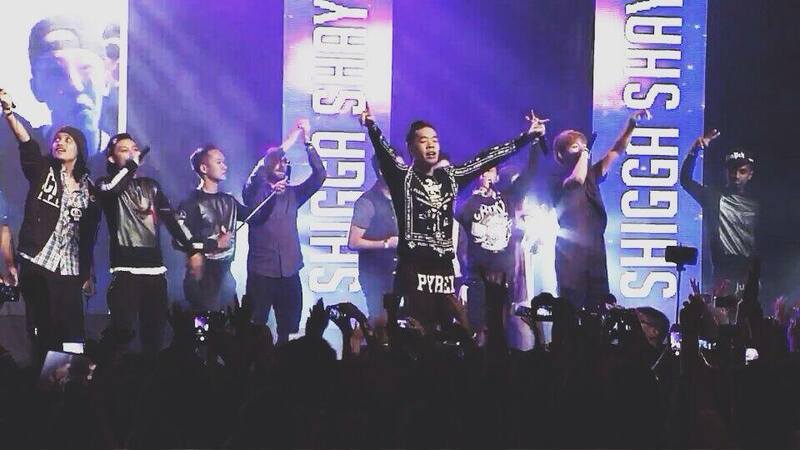 “You Singaporeans make us Singaporean artists look good man. Lion City ’till the day I die!” – ShiGGa Shay, Singapore’s rising rap artist who identifies himself as the ‘Lion City Kia’. Most local artists who perform on the IGNITE! stage say that they were once in the audience of the local music scene themselves before, and are so stoked to be given the opportunity to perform for their music bros for a change. This ups their street cred, and we definitely support their music because we believe they know what we love as local music fans themselves. Since its inaugural festival in 2008, IGNITE! has always set out to be all about free & good music in a great setting. This year, IGNITE! retains all of that, and adds a dimension of doing what they love all for a good cause in hopes for raising awareness for youth volunteerism in Singapore. With the festival theme of “Passion & Compassion”, students are reminded that their special talents and passions can be used for a good cause, especially in volunteering to help the needy in our society. This encourages us to always think of the bigger picture, the a hurting world out there that needs every one to play a part, and how we can practically approach contributing back to our society. Beyond the various reasons to feel excited about IGNITE!, what else can we expect from the festival? Ramly burgers! Perfect to chill in between sets, there’s plenty of food, band merchandise & vendors to keep you and your wallets occupied. What’s not to love about great Lion City music, good friends and a full-fledged music festival experience? IGNITE! Festival, we dig you! DON’T MISS: IGNITE! 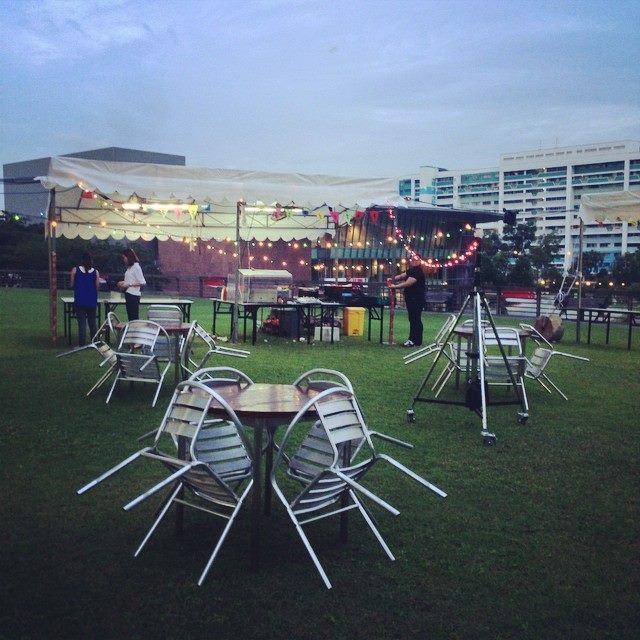 Music Festival will be happening again tonight (16 August, Saturday) from 5PM at the Republic Poly Lawn. Plug into Deezer, IGNITE! Music Festival’s official music streaming partner at Deezer/IGNITE! festival page. For the artist line-up and other exciting details, head over to their official Facebook page at fb.com/IgniteMusicFestival.